What's the very first thing you usually buy for your brand new I-Phone? If you're like most people, it would be some sort of case to protect your delicate and expensive new gadget. 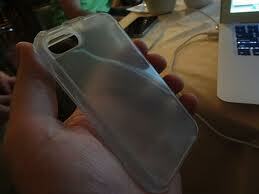 The problem with most of the cell phone cases on the market, as I have first-hand knowledge, is they Do Not Work. I've managed to damage two I-Phones that both had a protective cover and neither provided the protection needed. One time it was as simple as picking up a piece of furniture with the iPhone in my front pocket that smashed the screen into a hundred pieces. It still baffles me how much that small piece of glass ended up costing me to replace. I sure wish those cell phone cases would have stood behind their product and offered some sort of accidental damage coverage, but who ever heard of such a thing? As far as I know these are the only protective cell phone cases on the market that comes with this type of unique insurance and stands behind their product 100%. 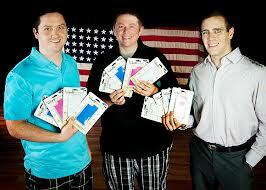 This is also another successful Kickstarter project making it's way on to the Shark Tank. Almost one year ago to the very day the campaign ended raising almost double their initial goal. When you purchase a Cell Helmet for $44.99 - $49.99 it includes a full 1-year warranty of accidental damage coverage for your iPhone. This does not include water damage or scratched aluminum. The Cell Helmet team will either fix your iPhone or replace it with a 3 business day max turnaround time and overnight it back to you at their expense. The warranty comes with unlimited repairs and/or one replacement of a brand new iPhone. If something ever does happen you simply call the 24-hour claim number and set up a repair or replacement for only $50 regardless of how damaged your phone is. The Cell Helmets are available for the I-Pod Touch 4, The iPhone 4/4S and the iPhone 5, and comes in 8 different colors to choose from. There's no question the iPhone accessory market's a booming business, and the Sharks have proven they'll invest in this segment. The Sound Bender from just a few episodes has been an overwhelming success. Even though the Cell Phone protective case is a crowded market, the Cell Helmet comes with a guarantee, and a form of cheap insurance should something ever happen. This certainly gives them an upper hand on the market even though it may cost a little more than other cases that do not stand behind their product. How many Cell Helmets have already been sold and how many claims have so far come in they're responsible for fixing? Obviously, they have a lot of faith in their product so I'd assume these numbers will be low, and in turn, be able to show a high-profit margin to the sharks. What's not to like about the Cell Helmet ? Especially if you have experienced a damaged iPhone first hand and the sheer hassle it takes to get fixed. This alone would be worth the $50, at least to me it would. The majority of the Cell Helmets have been sold online along with a growing list of retailers across the country. According to the store locator's on the website, there's a lot of Verizon Wireless and AT&T retail stores that already carry the Cell Helmet protective cases. Until then, if you are a proud owner of an iPhone product then this seems to be the best investment and insurance policy against accidental damage to your prized possession. GREAT CONCEPT. EVEN B GREATER. IF THEY WERE 2 EXPAND,THERE PRODUCT. 4 MOST,OR ALL POPULAR TOUCH SCREEN SMART PHONES? Sounds great for $50,and the warranty ain't bad. But I wish it includes protection from water/aluminum damage,which is iPhone is prone to. I have repaired a few phones, the Iphones seem to be a bit on the fragile side for the cost & the brand name. There are other lesser known brands that are built cheaply but I'd expect better from the i line of products.